Iconic structures from across the United States– from the Golden Gate Bridge to the Chrysler Building to the Hoover Dam–started in Bethlehem, Pennsylvania, as raw materials on the production lines of the Bethlehem Steel Corporation. 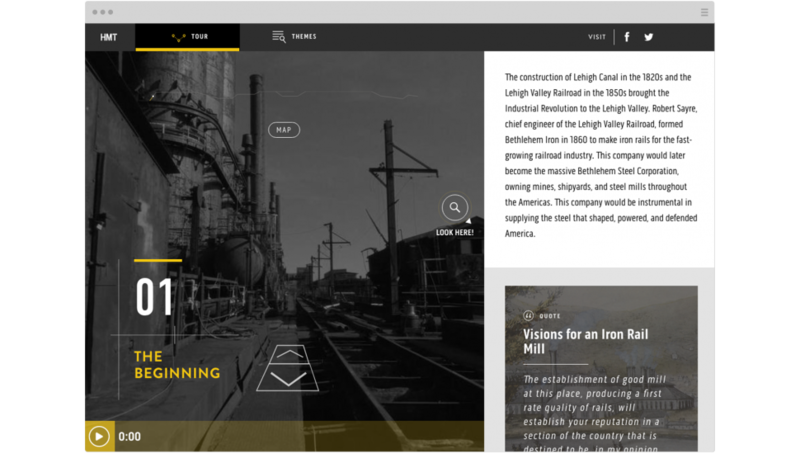 America’s second largest steel producer, Bethlehem Steel began supplying iron to the booming railroad industry in 1860 and continued on to become a manufacturing giant throughout the twentieth century. In 1995, the plant closed, leaving the region with a void that seemed impossible to fill. Bethlehem Steel served as the economic lifeblood of the local community, employing tens of thousands of people. Rather than demolish the historic mill or let it fall apart, the community rallied around the iconic plant, working hard to bring new life to the former industrial giant. The City of Bethlehem has been redeveloping of the site into an arts and culture destination. The Hoover-Mason Trestle, an elevated railway that delivered raw materials to the massive blast furnaces, was the backbone of the steel plant. 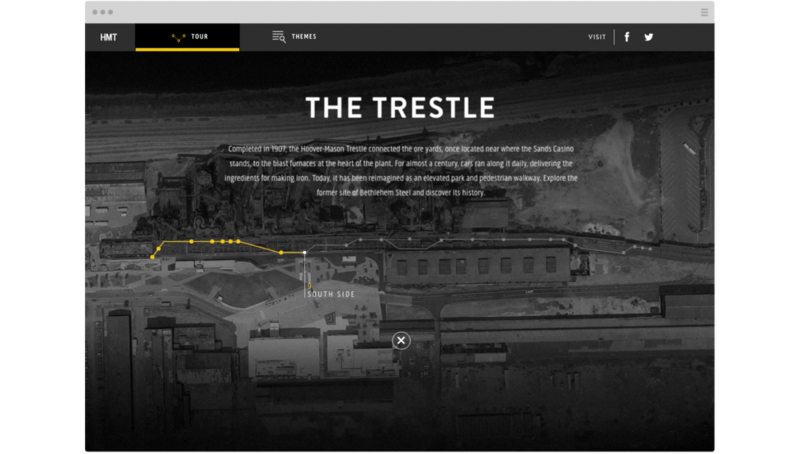 The Trestle was re-imaged with the help of renowned architecture and planning firm Wallace Roberts and Todd, who designed an elevated walkway that follows the trestle, letting visitors see the plant’s industrial structures up close. 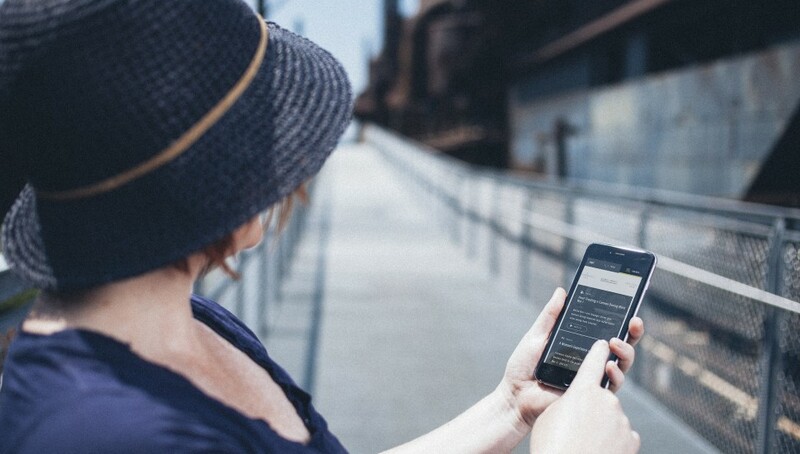 The walkway offers visitors a glimpse into the rich history of Bethlehem Steel through a self-guided tour created by Bluecadet. The tour includes plaques that describe how steel was made and explain the significance of the site’s structures and artifacts. An interactive app–accessible on any device–delivers audio tours, oral histories, and a treasure trove of historical images and interpretive data. This responsive web application provides a rich experience akin to a native app, but without the obstacle of downloading and installing an app on one’s device. The web app also functions beautifully on desktop computers for off-site users. Bluecadet crafted and curated the content for the app, which includes photography, video, audio, and text. To develop the content for the experience, Bluecadet’s content strategists worked with local historians and community groups. Our videographer flew a drone through the plant to capture a unique immersive view. The result is a narrative experience that delivers a comprehensive and engaging story using a wide variety of media. 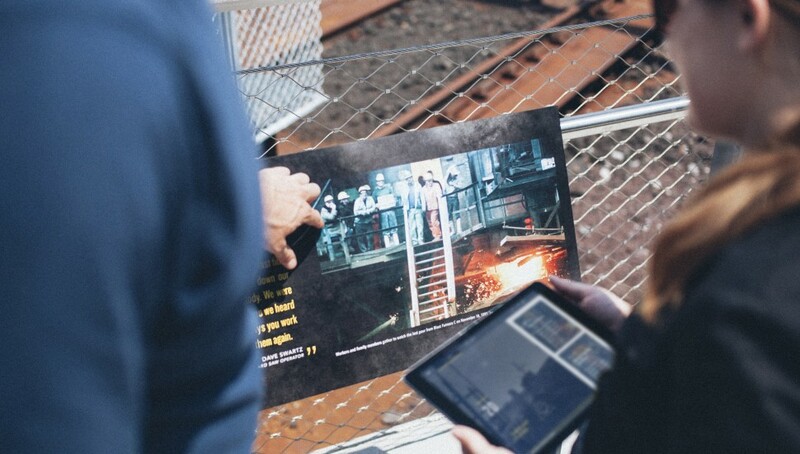 Bluecadet created an experience that reveals a layered story: the scale and impact of Bethlehem Steel corporation, the technical details of how steel was made, and the human stories of the steelworking community. As visitors follow the walkway, the app delivers interpretive content relating to specific points along the path, each marked by a sign. 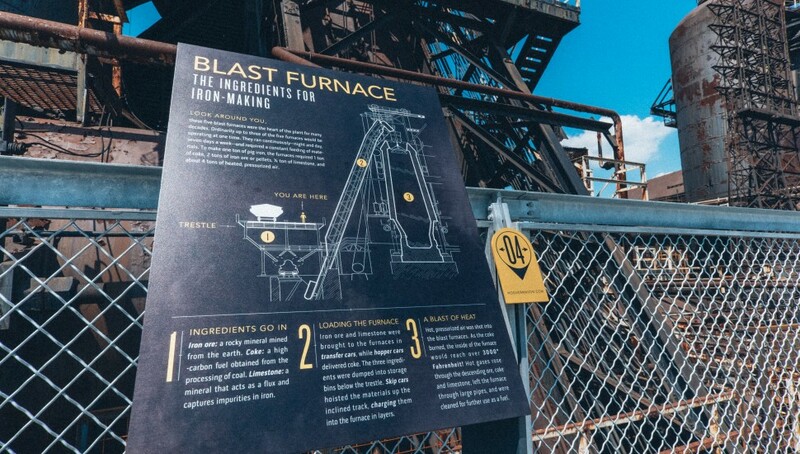 The signs–designed by Bluecadet and printed on reclaimed steel–feature original illustrations and narratives that reinforce this important story. 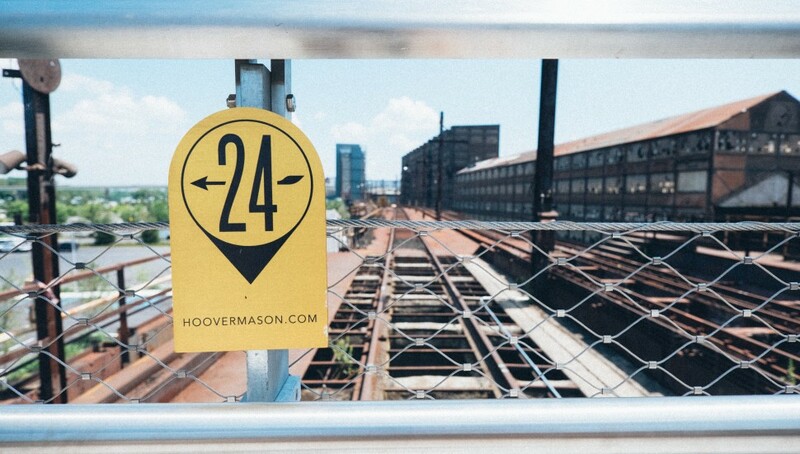 Integration of the physical and digital components, coupled with a thoughtful approach to user needs, makes the Hoover Mason Trestle experience fully immersive. Tony Hanna, Executive Director of the Redevelopment Authority of the City of Bethlehem. The Hoover Mason Trestle and the Bethlehem Steel site represent the story of American industry, labor, innovation, and grit. Bluecadet was proud to work with the City of Bethlehem to preserve and share this history with the public.